When we left Milwaukee it would be an understatement to say that Alex and I were disappointed in how our cars performed. We finished 2nd and 3rd, which looks nice on paper, but when you consider that both of us got lapped it’s not something to be proud of by any means. The bounce that fought all of us since Myrtle Beach made us look like pushovers. Considering all we’d done to try and get rid of it, it seemed like we’d carry that same problem to Iowa, get steamrolled again, and end the Short Track portion of our Truck Project at rock bottom with our hands up in the air in surrender. That was not the case. Not only did we fix the bounce, we were competitive for the first time all season against drivers we knew were the class of the field. Instead of leaving the final short track with our heads down, we left in the best mood we’ve been in all season. The bounce was gone at Iowa. Hallelujah!! 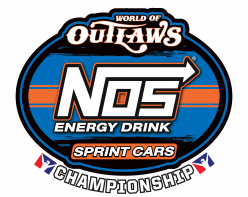 Everyone who’s followed this series since day 1 will know that we’ve found a bounce in the front end of the car every lap we’ve had on the short track chassis. It’s forced us to run the races in a way that will save the tires and keep the tires loaded instead of being able to attack when necessary. Going to the final race of the season on this short track package, it was paramount that this bounce was eliminated. Iowa is unique in that it’s bumpy in turns 1 and 2 while being very smooth in 3 and 4, so if the bounce was still around by the time we raced our options in turns 1 and 2 were limited to whichever line didn’t set off the bounce. At a progressive track like this, having options and the ability to move around are vital to how you perform in the race. If you get locked into a single line because of car handling, it becomes extremely difficult to pass other cars because they can just run the line you’re locked into and keep you behind them. Right-front Bind: The Indianapolis setup had the mildest bounce of the three short-track chassis up to that point, and it was run with a right-front bind front suspension. Plus, since the Milwaukee truck used a left-front bind and it was a disaster that needed to go immediately. I went back to the 300 right-front spring used at Indianapolis, and paired it with a 550 left-front spring to handle the extra vertical loads from the banking. I also didn’t want it to bind, so a higher rate was necessary. Lower Crossweight: Normally, Iowa seems to like a higher crossweight for the extra bite when the track gets hot and slick. It’s not flat-track numbers like I’d use at New Hampshire or Martinsville, but it’s usually higher than an intermediate track. However, it was well known that the lower the crossweight was on the right-front bind setup, the less bounce the suspension produced. The crossweight at Indy was 51.2%, the Iowa crossweight was 52.7%. Left-side Tire Pressures: It’s impossible to forget how bad the first run at Indianapolis was on higher-pressure left side tires, so this was another case of “How little air can I put in them?” Minimum air pressure was the only option, so 16psi is where they were set. These were implemented prior to the second run on the track. The majority of the runs afterwards were spent getting the heights correct and the splitter flattened, which was the usual song and dance between crossweight and spring rates. Once the truck was back down, the answer to the bounce was found almost immediately, and believe it or not, it came from Milwaukee’s notes: During practice, Alex took the asymmetry out of his sway bar and commented that the bounce was gone, but he couldn’t get the truck back to a flat attitude. Removing the asymmetry at Iowa had the same effect on the car. It took a lot of detail work to get the car flat in the corners, but this is eventually what got rid of the bounce. Knowing that this is what was likely causing the bounce issue, it’s easy to say “just never run asymmetry, right?” Not necessarily, because we’ve used asymmetry in both the Xfinity and Cup cars to great success. The difference between those cars and the truck was that we knew how to use it in the cars, while we were just going off of what we’d used before on this truck. The problem lies in the nature of arm asymmetry itself, specifically with what happens when one wheel sees a bump while the other doesn’t. Asymmetry shortens one of the sway bar arms without changing the length of the other, meaning the two suspension systems (right and left-front) will act on the sway bar in different ways. Still with me? Good. For the Xfinity and Cup cars, we run bump springs which leave an active spring rate in the suspension even at high travel values. Even if the car is pinned down to the track, there is still suspension working on both corners. The truck is different, since coil-binding produces an infinite spring rate on whichever corner is binding. As you can probably imagine, applying a sudden force to a corner with an infinite spring rate will send it straight into the chassis and to the other corner of the suspension. 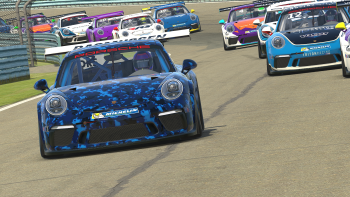 At Milwaukee, I had the left-front coil-bound and was hitting the bumps with that corner first which shook the chassis and the suspension couldn’t dampen the oscillation. At Indy, I bound the right-front (but still ran asymmetry) and the bounce was less severe. At Iowa, I removed the asymmetry and bound the right-front, getting rid of the bounce completely. This doesn’t mean asymmetry has no uses, because I still split the ride heights very heavily (which also produces asymmetry effects) it just meant I didn’t have it implemented properly. Completely casting aside an idea because it causes problems for one configuration is not a great way to go about this, since it can work in other configurations. If you eventually get into the mind of eliminating options such as having ballast as far back as possible, no rear spring split, or no bar asymmetry, you’re eventually going to get to a point where you can’t break yourself out of the box you built around your own setup and you can’t fix underlying problems because your mind won’t let you go outside of the box. Alex said the asymmetry at Milwaukee kept his car flatter, and this was the biggest problem I had after removing it. We’ve used asymmetry in every single one of our team cars since 2016 because of how it keeps the nose flat, but I didn’t write off using none at all because it could still be used in the right circumstances. When we go to Michigan tomorrow night, we’ll likely have asymmetry in the bar because it worked at California, and my Xfinity cars will undoubtedly have it this year at most tracks. However we now know for certain that asymmetry, in the wrong configuration, can produce some nasty results. That kind of information is invaluable and will undoubtedly serve us well in the future. 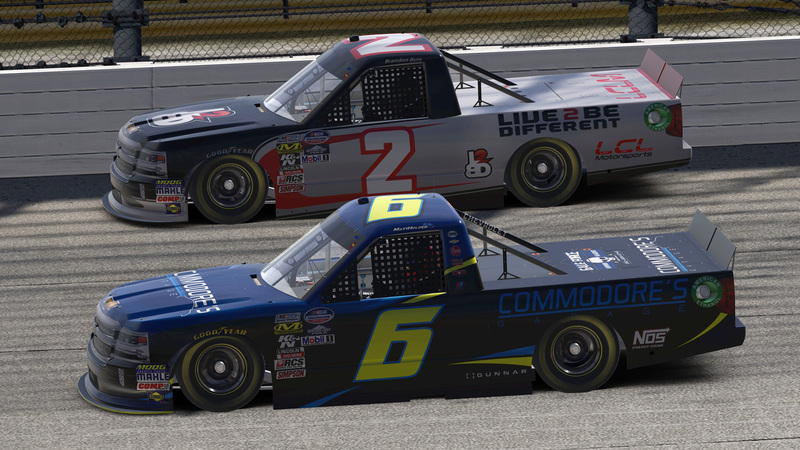 Racing against Brandon Buie (#2) was a major sign of how we were doing with these trucks after starting from nothing just a few weeks ago. The race, believe it or not, went caution-free despite a full field. We were also going to be racing against Brandon Buie, a former teammate of ours at Gale Force Racing, and someone I have a tremendous amount of respect for. Brandon, in my opinion, is the standard to which we were measuring ourselves against in that race. 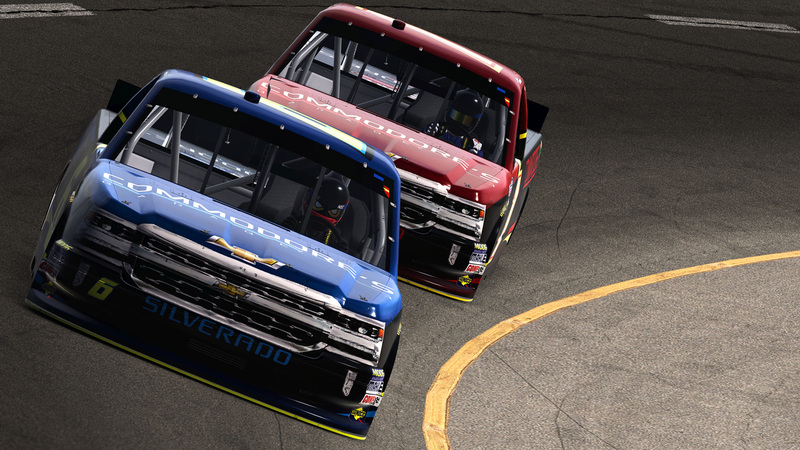 Anybody who follows the news on our team page might remember that I built a truck setup in 2016 to race at Gateway, and Brandon drove that car to victory with Alex running second. Now a year and a half later, it was a good opportunity to see where we stacked up. Plus, Brent Day was also in our race. Brent is the driver that lapped us at Milwaukee, so we literally had two yardsticks to compare ourselves to, and I think we did extremely well to finish 5th and 6th. Plus, Brent didn’t lap us so that’s also a step in the right direction. A caution-free race is always fun since it really shows which cars are built for longer runs and makes the pit stop adjustments so much more crucial. 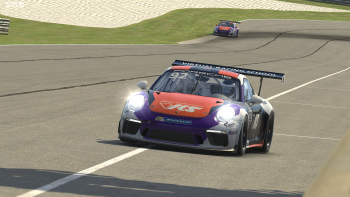 I was planning on stopping around the race’s mid-point, but leading up to that lap I was actually running Alex down for 5th place so I decided to drop to pit road just before he did to undercut him through the pit cycle. He also had the same idea and dove for pit road when I didn’t expect it, but I had enough time to barely make it onto pit road right behind him. We both slid through our pit stalls like true professionals, and the only adjustment I made was 2% more tape because the engine was running cool. When you’re used to a car bouncing like a pogo stick and you suddenly don’t have that anymore, it’s pretty easy to leave it alone. Because I was trying to hard to beat Alex in this race, I completely forgot to record tire temperatures. I was, however, recording telemetry so we can take a moment to look at these numbers and see what can be made better on the truck in the future. Both sets of tire temperatures were taken the laps right before a tire stint ended and in the middle of turns 3 and 4 at the highest point of load. 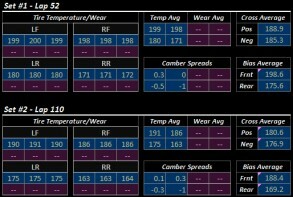 This data looks just about perfect, with camber spreads looking dead-on what I would hope for, and tire temperature averages looking okay. It’s important to note that these temperatures are tire surface temperatures (not carcass temperatures), so they won’t show heat retention in the tire as well as the garage values. The right-rear tire is cooler again, so it’s worth looking into that to see if it could be warmed up with a softer spring rate. The only major issue is a heavy bias towards the front tires, showing a need for less nose weight than what I had in the car (53.1%). 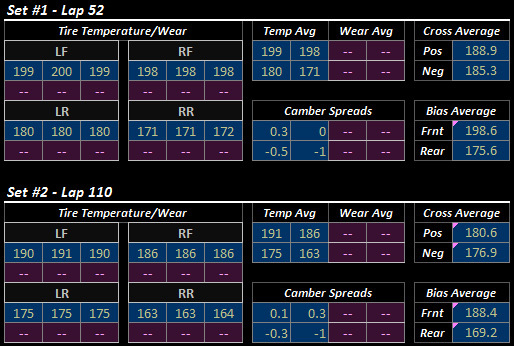 Since these camber values look pretty good, we could also experiment with adding more camber to both front tires and see the effects since we know a good set of baseline values. Iowa was the last race we’ll run on the short tracks with the Truck Project. The final two races at Michigan and Rockingham will use the intermediate chassis, and Michigan’s setup will work from the California setup since the tracks are so similar. That said, it’s possible that the asymmetry stuff learned at Iowa could find its way into the Michigan car as well if it shows to be a better option. We might be done with the Short Tracks, but these tracks make up the majority of what we know about the Truck so far so it’s silly to ignore what we’ve learned here. In fact, it’s very possible that we can take the California setup (which was pretty good to begin with) and tailor it to Michigan. As with previous weeks, we’ll race on Thursday night. We all hope to see you there!